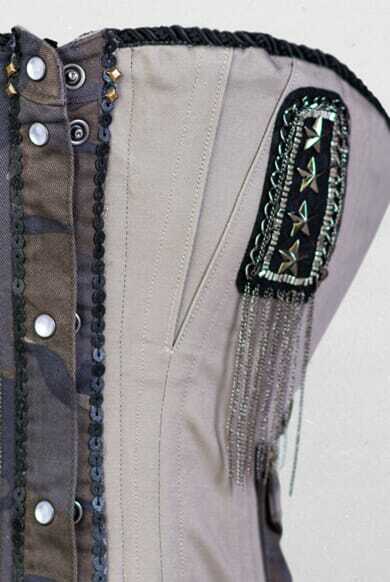 Vive la révolution! 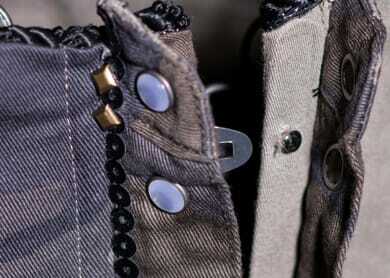 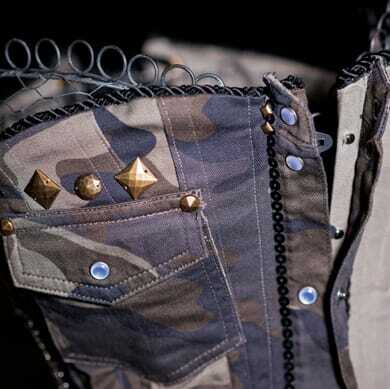 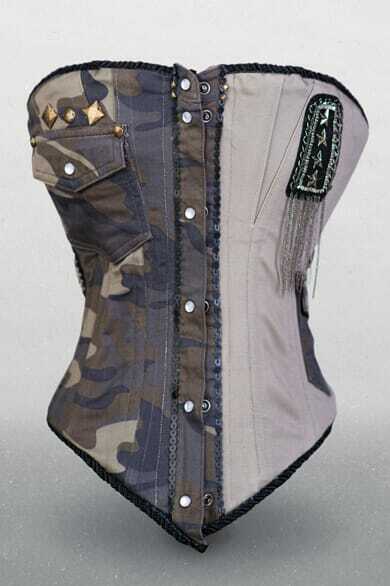 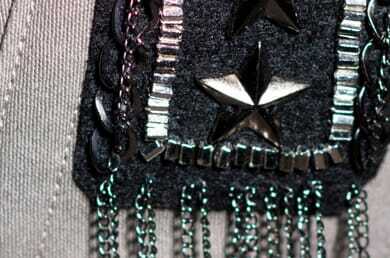 Modern trends meet classical design in this parodic military corset. 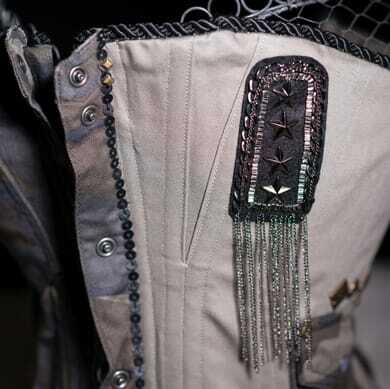 Fantastically delightful and capricious, understated yet indicative of specific social commentary, this is another example of unique personal desire manifested as a well crafted couture corset, perfectly suited for casual use, costume or performance.